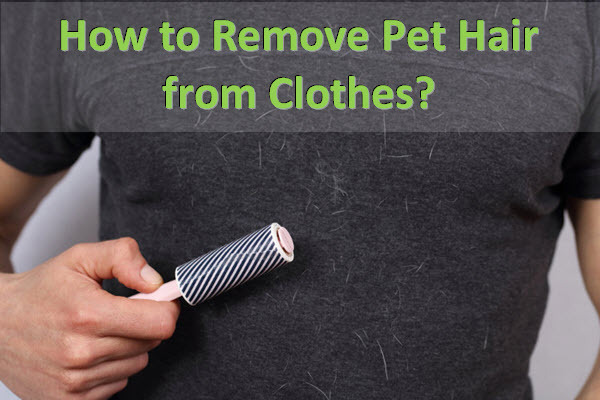 One of the most common problems for pet owners is that their clothes always get full of hair. Jumping dogs, purring cats, even hamsters or mice can leave you furry. To fix this, there are a bunch of methods, some more effective than others of course. In any way, pet hair on clothes is really annoying, and something must be done. Firstly, let’s talk a bit about how all this happens, and then we’ll get to how you can remove pet hair from your clothes. Why do Pets Leave So Much Hair? What Can I do to Get Rid of All This Hair? Shedding is natural. You leave hair too. It’s only that you have a lot less hair than your furry pet, and also don’t really need it. While your pet could survive hairless in your house, in the wild it wouldn’t probably last too much. The same way beavers grow teeth faster because they use them (or is it the opposite way?) your pet has to “refresh” its hair for it to be in good, useful shape. Cats use their hair to camouflage and hunt, and dogs use it to protect their sensitive skin from the sun. Obviously, all furry animals protect themselves from cold with hair. The colder the environment in which the breed evolved, the thicker the fur. Considering cats and dogs are still wild animals, they will probably continue to have their bodies covered with hair for a very long time. Shedding treatments: Sometimes, during the shedding season, some dogs and cats shed very badly. I wouldn’t recommend applying a shedding treatment prior to consulting a veterinarian. If you live at a house, and the shedding season is not during a very cold period there, you could kindly “ask” your dog or cat to spend some time outside. You shouldn’t do so though if your pet is not familiar with the outside environment. There are many ways, as mentioned before, but here are the most common and useful ones. If you’re in a hurry to work or need a quick clean-up and nothing better is around but water, you can soak the palm of your hand and brush the hair downwards, off your clothes. Water will soften the hair and make it heavier, so it will be dragged easier by your hand. You will have to rinse your palms and repeat the process a few times to see good results. The good old duct tape (scotch tape, or whatever you want to call it) does the trick, especially with cat hair. You might be thinking that you simply rip a piece of scotch tape and start getting to the hair, but you can use a far more advanced technique than that primitive one. You can turn your tape into a pet hair stick roller. Simply pull the piece of tape until you think it would be able to reach the sticky end again. Put it back on the roller on the opposite direction until it reaches the other sticky end. Place your fingers into the roller hole and start spinning it over your clothes. When full, simply cut that piece and repeat the process. A few reps will make your clothes look like new. Just watch out for your pet not to get you again, you might faint of madness. Lint brushes are really interesting. They work very similar ratcheting screwdriver. It’s spines drag the hair in one direction, but not the other. This means that even if you don’t lift the brush well enough, the hair won’t go back up and be spread all over again. Although it’s a quick and effective way to clean most types of clothes, it will not work on wool or similar material, and it will probably even ruin it. For a lint brush to be even more effective, you can apply a bit of water on your clothes to get the hair wet and heavy before using the brush. As for the sticky rollers, I’m not sure you should pay for them. They get pretty annoying and are not so efficient anyway. If you want something similar, just stick with the duct tape technique and you will get better results and cheaper costs. If they aren’t “drowning” in hair, you could take your clothes for a dive. A simple wash with water will get the hair off them. If they are full of hair, you might want to shake them over your window or outside for a bit, and even use some duct tape or a brush before washing them in a washing machine. If you plan to wash them manually, then you should have no fear. Vacuum cleaners? Hell yeah, vacuum cleaners. And some of them are designed for such things. In this case, handheld ones will work best. Quick and easy, just as their purpose. The best one you can pick for this job is the Bissell Pet Hair Eraser Handheld Vacuum, 33A1. It is very small and very powerful against pet hair on furniture and clothes. Unfortunately, it might be hard to use any vacuum cleaners on the clothes while the clothes are on you, but you can definitely keep a brush specially for this task. 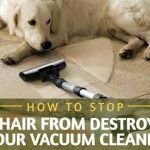 Since this site is about canister vacuum, you can use the canister models for pet hairs cleaning too. 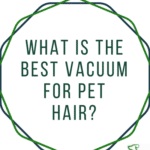 >> See the top-rated vacuum models for pet hair removals. One article at WikiHow on remove pet hairs from clothes also mentions using a pumice stone. While it does have effect on some types of material, I wouldn’t advise using one on any clothes whatsoever, because you will most probably scratch or tear it. Trying to prevent the illness is better than only treating it. Even if it might sound as a lot of upfront work, you’re not working for the present, you’re working for the future, and the results will be seen. The first step and my advice to getting rid of pet hair off your clothes and off anywhere in general are to take care of your pet’s hair by grooming your pet more often. By grooming I don’t mean giving it a fancy looking haircut. That’s most likely immature, and unhealthy for your pet, though in some cases it may be applicable. Pet’s are made with hair and should stay with hair. When you got yourself a pet, you probably thought about this issue, and accepted it. You don’t need fancy grooming services. A special grooming brush and a spot outside or in the bathtub will be perfect. You should also try to train your pet. Cats are more likely “slippers trainable”, but dogs can be very loyal and disciplinate if the right training process is applied. Try to take your pet to a point where it would only lay where you want it to, rather than where it wants to (everywhere duh…). A good training book for dogs can be found here, and a good training book for cats can be found here. Remember: Preventing it is the key.